Rumour No. 1: The Daily Mail have spent their weekend crunching numbers and this morning are suggesting that Liverpool manager Rafa Benitez is set to have £16 million payed instantly into his bank account should the club fire him in the summer. 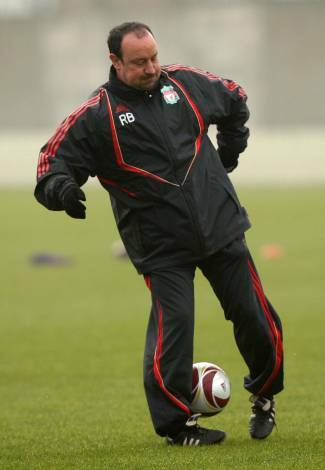 Benitez apparently has a clause in his contract which states that his £4 million-a-season deal (of which he still has four years left to run) has to be payed up in full within 24 hours of him being dismissed and – with money being as tight as it is at Anfield – Liverpool’s American owners simply cannot afford the resulting compensation, should they wish to oust the man in charge during the off-season. Rumour No. 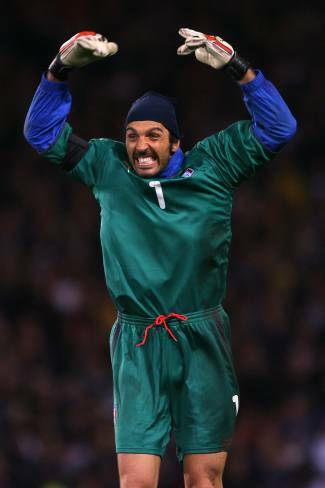 2: Juventus are apparently willing to let Manchester City have keeper Gianluigi Buffon for the princely sum of £32 million, in other words Juve are charging City £1 million pounds for every year of the veteran Italian shot stopper’s life so far! The Best of the Rest: Aston Villa are lining up a summer move for Manchester United’s second choice ‘keeper Tomasz Kuzczak, to provide competiton for Brads Friedel and Guzan. Sticking with Villa for the moment, it seems they are also considering swooping for Fenerbache’s Spanish striker Daniel Guiza. Tottenham are preparing a bid for Palermo forward Edinson Cavani. Manchester City are keeping tabs on Brazilian midfielder Ramires, who currently plies his trade with Benfica. Sunderland are planning a shock swoop for Stoke forward Tuncay Sanli. Birmingham City hope to make Rangers ‘keeper Allan McGregor their first signing of the summer.